The Skupiens have an abundance of birthdays in January, and we spent the weekend celebrating two. 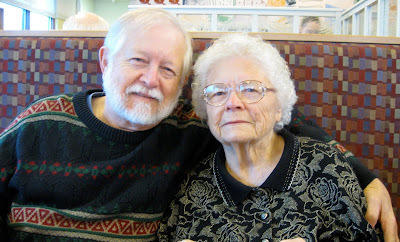 Saturday morning, husband Walter and I treated his mom Helen Skupien, also known as Grandma Sugar, to breakfast on her birthday. 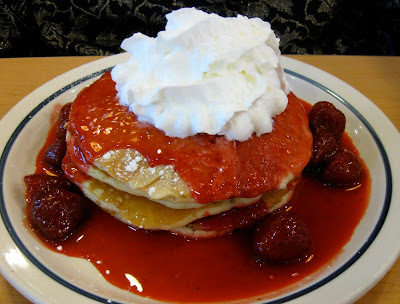 She doesn’t usually like breakfast, but she does like the occasional visit to IHOP. Her choice was cheesecake pancakes. Walter ordered a full breakfast with the all-you-can-eat pancake option. I ordered less, but guess who finished up the cheesecake pancakes when Grandma Sugar could eat no more and one of Walter’s pancakes? Yes, me, and they were delicious. Sunday we celebrated the upcoming one-year anniversary of great-nephew Miles Brown at the Lynn Meadows Discovery Center, a great children’s museum in Gulfport, MS. His mom, Sandi Skupien Brown, provided a barbeque lunch and other goodies that tempted children and adults alike. 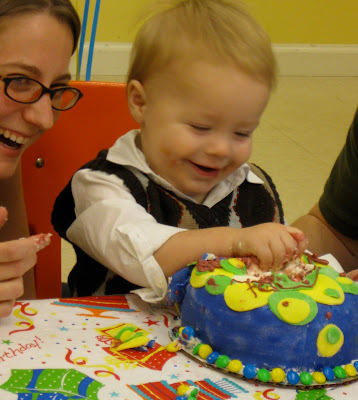 Birthday boy Miles, right, samples his cake. Sandi and her sister Stephanie Skupien Stanley are gifted with abundant imagination and the talent to turn what they imagine into reality. Stephanie trimmed and glued colored papers into this one-of-a-kind birthday invitation. 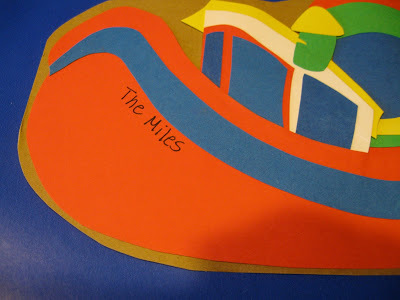 “The Miles” tugboat had the party’s who, what and where information on the back. 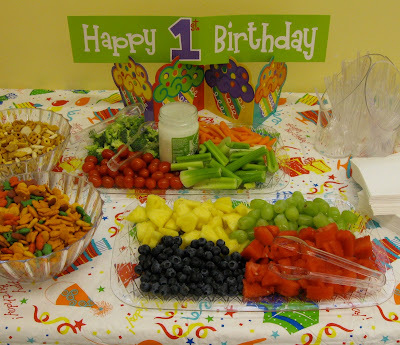 Even the kid-friendly and heart-healthy snacks contributed to the colorful birthday tableau. There always seems to be something you forget to bring when holding an event away from home. This day it was a knife. January 22 birthday-boy Ryan Byrd saved the day with a filet knife he had in his vehicle. 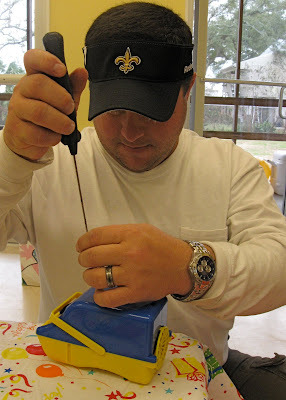 An avid fisherman and a Biloxi fireman, our nephew Ryan is always prepared. He also applied the knife to repairing the bubble machine. 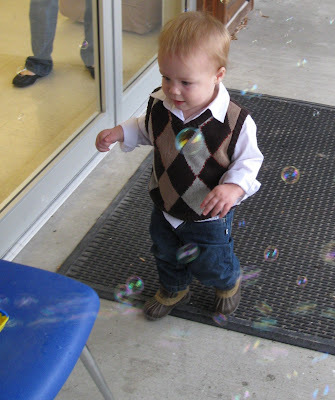 Ryan resurrects the bubble machine . . .
. . . much to Miles’ delight. The festivities moved to the main museum building packed with intriguing hands-on learning exhibits. Kids big and little tried them out. 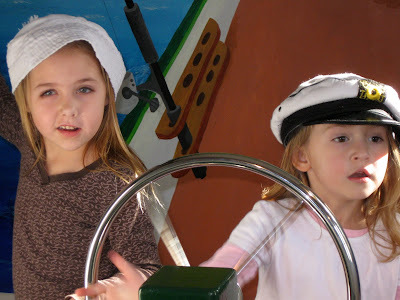 Our great-niece Trinity, left, and Miles’ neighbor Anna Claire crew the shrimp boat. 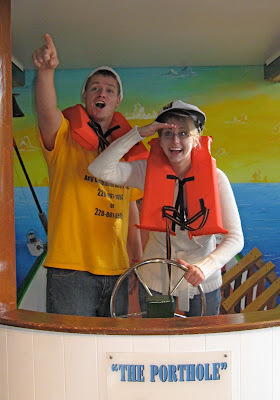 The Stanleys, Nathan and Stephanie, take a turn. 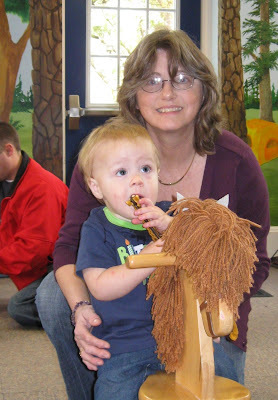 Lila Skupien with grandson Miles at Lynn Meadows Discovery Center. Today is the birthday of Lila Skupien, Miles’ grandmother and proud of it. Happy birthday, Lila! Looks like it was a fun-filled weekend! Cute post!